Although it is often associated with misguided or bored young people, vandalism under California Penal Code Section 594 PC is a serious criminal offense that covers a wide range of criminal activity and can result in extensive penalties for those convicted. Under the statute, graffiti includes any unauthorized inscription, word, figure, mark or design that is written, marked, etched, scratched, drawn or painted on real or personal property. The damage does not have to be permanent, and doing things like writing on glass with a black marker that can later be removed can be considered vandalism. A man and woman are going through a bitter divorce. The man becomes enraged and intentionally smashes the windshield of his wife's car, which was purchased jointly through the marriage. The man could be charged with vandalism, even though he had an ownership interest in the property damaged. California Penal Code Section 594 PC applies to property held jointly with another. In another example, a man is driving home after a night spent drinking and smashes into the side of a house, causing extensive property damage. While the man could be prosecuted for driving under the influence, he would not be criminally liable for vandalism, because his act of property destruction was not done intentionally or maliciously. As described above, there are many situations in which property damage is caused inadvertently or by negligent conduct. Vandalism requires that the defendant acted with malicious intent. When this is not present, a defendant may be able to raise a valid accident defense. This is also a crime in which a defendant may be the target of a false accusation made by someone wanting to get the defendant in trouble. In these situations, an effective Los Angeles criminal defense attorney can expose the motives behind the accusation and show why it is simply an attempt to defame the defendant. The penalties for vandalism offenses can vary depending on the circumstances of the crime. If the value of property damage inflicted is less than $400, vandalism is a misdemeanor offense that can be punished by up to a year in jail, restitution to the victim, court fines, counseling and a mandatory driver's license suspension of up to two years. If the vandalism results in damages of $400 or more, the offense is a "wobbler" which can be charged as either a felony or a misdemeanor depending on the factual circumstances of the case and the defendant's criminal history. If charged as a misdemeanor, the defendant can be sentenced as described above. If charged as a felony, the defendant can be sentenced to up to three years in prison. If a person has two previous vandalism convictions, he or she must be sentenced to jail or prison on any subsequent vandalism conviction. If you or a loved one have been charged with vandalism it is very important that you consult with a Los Angeles Criminal Defense Attorney right away. 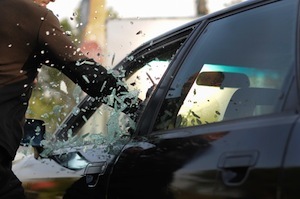 Vandalism convictions can carry extensive penalties and can cause serious consequences for those convicted, including loss of driving privileges. Los Angeles Criminal Defense Lawyer Michael Kraut is a former Deputy District Attorney with over 14 years of prosecutorial experience who is highly adept at handling cases like this. In many cases, Mr. Kraut's early intervention in a case before charges have been filed can result in a reduction or rejection of criminal charges altogether. Mr. Kraut works tirelessly to ensure that his clients receive the best defense possible. For more information about vandalism charges, and to schedule your free consultation, contact Los Angeles Criminal Defense Lawyer Michael Kraut at the Kraut Law Group located at 6255 Sunset Boulevard, Suite 1480, Los Angeles, CA 90028. Mr. Kraut can be reached 24/7 at 888-334-6344 or 323-464-6453.